But, creating something like artificial intelligence should be monitored to see changes happening in the process, outcomes can be wonderful but also terrible. 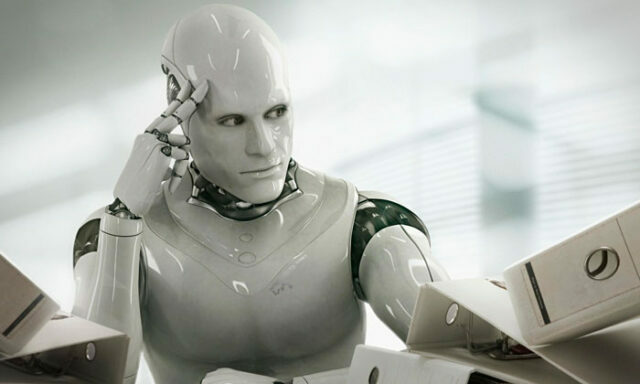 The idea of artificial intelligence is to reach technological singularity which means that some kind of super intelligence will be born in this century, and advancements in technology from that point will come so fast that most people will not be able to keep up with it. It’s the point from where the future can’t be understood, the same way black holes in universe are beyond singularity where laws of physics just can’t be applied. Imagine how greatly will teleportation of information be improved. For example, when Voayer 1 sends messages it takes over 10 hours for them to be transmitted to earth. By using teleportation sending will be practically instantly because of quantum level, this all will be able with help of artificial intelligence. It’s funny because when you watch Hollywood movies, it’s obvious that Hollywood hates artificial intelligence, or it shows it as some kind of threat to human beings. Throughout human history, making some kind of artificial intelligence was not so successful. The field of studying was produced in 1956. There was a period of 6 years from 1974 to 1980 that people used to call artificial intelligence winter, because nothing specially happened. From 1993 studying was finally revived, until all the way up to 1997 year, when the computer Deep Blue beat Garry Kasparov in a chess game, he was at that time champion. In 2011, not so long ago, computer won on quiz ”Jeopardy” and beat 2 champions Ken Jennings and Brad Rutter. The truth is no matter how you think of artificial intelligence in the end it’s construction of human minds. It will be builder or destroyed, it depends on how we create it. Today people are finally starting to recognize true power of artificial intelligence. I can’t write this without mentioning 2 of the pioneers in this field, Stephen Hawking and Elon Musk. They are 2 individuals who are continually talking about artificial intelligence. Sometimes discussions are heading towards thinking that artificial intelligence will create scenarios for doomsday, there is always that feeling it will be used for positive things. Great thing about artificial intelligence is its ability to learn new data it collects all the time. The more stuff it collects its predictions are going to be more precise. Artificial intelligence also have biggest impact in offices. Machines are helping in productivity like never seen before. It changed how people are doing business. Did you knew that Japanese company was the first one to make nomination for artificial intelligence member, because of its ability to predict trends in market more faster then people. In few years, this technology will be used in every day life from cars that are self driven to space exploration. I think there is nothing to fear from artificial intelligence, it represents our greatest human and individual potential, and going into future is hard to imagine with it.